Parties to international contracts and cross-border transactions often choose the law of England and Wales (which we’ll call “English law” for short) as the governing law of the agreement. In fact, English law is the preferred governing law for business transactions worldwide, even those that don’t have any geographic connection with the UK. There are a number of reasons for this, one of the main ones being that English law has a well-known, well-developed and reputable jurisprudence. English law is important historically as a result of the British Empire, one of the two largest empires in recent history, alongside the French Empire. Part of the legacy is that its former colonies have modeled their legal systems closely on English law. Many countries which were formerly British colonies retain a system of common law (in which the development of and guidance and rules as to interpretation for the law are influenced by the input of the courts through precedent) and can look to the judgments of higher courts of England and Wales, particularly the Privy Council, for guidance on new or unusual issues. Similarly, the judgments of courts of other common law jurisdictions may also assist English courts in considering issues as they arise elsewhere. The law of the United States is largely derived from the English common law system, at both the federal and state levels, although it has diverged greatly from its English ancestor both in terms of substance and procedure. The East India Company left a lasting legacy on international law. An English joint-stock company formed for trading with the East Indies and later with Qing China and the Indian subcontinent, it was founded by Royal Charter in 1600. Queen Elizabeth I used royal decree and treasury funds to establish trade on behalf of English merchants, creating the first joint-stock corporation, composed of investors with shares in the company. The shareholders are given percentages of the company’s profits, or dividends, based on the number of shares they hold. Queen Elizabeth also limited the liability of the East India Company’s investors, making it the world’s first limited liability corporation. This means the investors are granted protection against losing any more money than their initial investment. If the company fails, its outstanding debts aren’t divided up among its investors. The establishment of the East India Company set a precedent and its French, Dutch and other competitors followed suit. For better or worse, without the East India Company, England may not have developed into the nation it is now. When Queen Elizabeth granted charter to the company, it set the prototype for modern corporations as we know them today. English law is further bolstered by its independence of the judiciary, the experience and reputation of judges and the high quality of UK law firms and barristers. The HM Courts and Tribunals Service, through courts and tribunals, administers the work of the courts to give individuals and businesses access to justice. The courts deal with matters ranging from commercial disputes and people asserting their employment rights to family law and matters of administrative law, across the remits of the magistrates’ courts, the County Court, Crown Court, Family Court and Royal Courts of Justice. The Mercantile Court deals with commercial, professional and business and disputes, including contracts and business documents; buying, selling and transporting goods; insurance matters; banking and financial services; commercial agencies and arbitration claims. The relative speed and efficiency with which commercial disputes can be resolved through the English courts or alternative dispute resolution mechanisms also contribute to the popularity of English law and London’s reputation as an international dispute resolution centre. Statistics published by HM Courts and the London Court of International Arbitration revealed that between 31st March 2012 and 1st April 2013, almost 81% of its cases involved a foreign party, while 49% of cases were entirely between foreign parties, being companies incorporated outside of England. London is one of the most popular arbitration venues in the world for such foreign parties. The careful selection, impartiality and experience of English law judges, coupled with their skill in dealing with complex cases, are founded in judicial independence, a key principle of the UK constitution. Judges are empowered to decide cases according to their own judgment of the issues, without outside influence and government control. Judicial appointments in England are made by the Judicial Appointments Commission, an independent non-departmental public body that was launched in 2006. It ensures that the candidates for judicial office are free from any political involvement. This process minimises the risk that judges are unduly influenced by external forces when deciding cases, helping to maintain the integrity and independence of the English courts. English law is transparent and predictable, providing freedom of contract, a pro-business approach. Under English law, in commercial contracts, there’s no implied overarching duty of good faith, unlike in other jurisdictions. A duty of good faith requires neither party to take advantage of the other. Good faith, in reference to other countries, creates obligations for parties to inform each other, when reasonable, of the important points that the other party couldn’t discover on its own. It also creates obligations to apply reasonable diligence in the performance of contractual obligations, while observing moral and ethical behaviour standards. While good faith may have its own advantages, it creates uncertainty as to the standard of behaviour expected from the parties to the agreement, especially in cross border transactions, where cultural difference often exist. On the contrary, with the absence of any general duty of good faith, English commercial law is built on well-founded principles and provides predictability of outcome, legal certainty and fairness. There are many sectors dominated by English law. These include international commercial contracts, banking and financing, maritime and shipping, mergers and acquisitions, dispute resolution and international arbitration. With the increasing globalisation of business, companies are tasked with choosing governing law for cross-border construction contracts. English law is frequently chosen because the English courts are amenable to permitting and enforcing limitation of liability causes, waivers of consequential loss, liquidation of anticipated damages, time and procedural bars on claims, “knock for knock” indemnities and “pay when paid” clauses. English law dictates that discussions with your lawyer are confidential and covered by legal privilege. English lawyers are bound by professional rules to keep the affairs of their clients, and former clients, confidential. Legal professional privilege is established in English law as a basic human right and provides comfort to parties that they can freely and frankly discuss issues and strategies with their legal counsel without this prejudicing the case or leaking into the public domain. London has firmly established its position as a world-leading financial centre. Research has revealed that it has overtaken New York as the world’s best financial centre. Many finance professionals rank London very highly, indicating that it’s a stable place to work. According to international rankings, compiled by analysts at the Z/Yen Group in 2015, London topped every single category in their index, including best business environment, the most impressive infrastructure, the most developed financial centre, the top overall reputation and the best human capital. Foreigners believe the stability of London makes it a safe place to conduct business, with the depth and breadth of business activity in the capital, the strength of its professional services and its world-class insurance and banking industries giving it a further boost. London is also renowned as a world centre for international arbitration. The London Court of International Arbitration (LCIA) is a leading international institution for the resolution of commercial disputes. It offers flexible, efficient and impartial administration of arbitration, regardless of the location and under any law system. Its international nature is reflected by the fact that around 80% of parties in current LCIA cases are not of English nationality. It offers the most experienced, eminent arbitrators, experts and mediators from many jurisdictions, who have the widest range of expertise. Its services are available to all contracting parties and there aren’t any membership requirements. Further, the service sector in the UK is now so important to the economy that it constitutes nearly 80% of GDP, with a large proportion of the service sector being based in London. Whatever the basis of operation in the UK, these service sectors often prefer to use English law as the basis for their commercial transactions. By extension, English law is the natural governing law for business based in or operating in London and its markets. The English legal sector is estimated to be worth £25 billion, meaning that parties can draw on the depth and breadth of legal expertise and experience offered by law firms practising in English law. These firms understand global business needs and speak the language of their clients to deliver commercial and pragmatic solutions. Good advisers are the key to commercial success, and English law boasts some of the best in the world. English solicitors are often perceived to be of a high pedigree in the legal world. Whether its complex multi-jurisdictional corporate deals, extensive commercial frameworks and tax-efficient structures, multi-party high-value dispute resolution, immigration and employment issues or worldwide infrastructure projects which shape nations, English law firms and legal experts lead the global field in knowledge, technical expertise, commercial acumen and transactional agility and work on many of the headline-grabbing, world-changing deals, business and affairs happening today. The attractiveness of England and Wales as a jurisdiction for international commercial contracts hasn’t changed because of Brexit, according to the Law Society of England and Wales. The fact that England has the best law firms in the world, with renowned experience and expertise built up over many years, means they will continue to set the global standard. English courts’ reputation for expertise and independence and the fact that judges are held in high esteem for their commercial knowledge will be unaffected by the UK’s vote to leave the European Union. English contract law is not affected by EU law on the whole, because it derives from Common Law. English contract law is flexible enough to adapt, should there be any specific terms in contracts that relate to EU law. Some even argue that Brexit could lead to English law being more attractive as the law of choice, as the UK would no longer be required to incorporate those aspects of EU law. The Law Society believes that solicitors, judges and law firms can be relied upon, not least because English law offers stability and certainty and this won’t change because of Brexit. The reality is that the future direction of the UK and its legal sector in respect of Brexit remains unclear, but there is nothing at this stage to indicate that the sector as a whole will suffer significantly. Foreign lawyers who achieve dual-qualification as English solicitors often do so in order to offer an extra dimension to their domestic practice in their home jurisdiction. The significance of UK trade with foreign countries is one reason many lawyers decide to dual qualify. UK businesses trading internationally need, in many cases, to establish a local presence and dual-qualified lawyers can help them to achieve commercial goals. They can further help their clients to understand cultural differences between the UK and overseas markets. The number of UK businesses operating abroad is increasing, hence there’s a greater demand for English law expertise outside of the UK. Dual-qualified lawyers can play an important role in managing complex, cross-border transactions in an era where retaining high-value work and top clients is a commercial priority. Having a dual-qualification enables lawyers to analyse a problem from a wider perspective, helping the client achieve a practical solution. Finally, the results of an IRN survey reveal a consistent and increasing demand for dual-qualified lawyers in the UK and overseas law firms. Some firms now place dual-qualification and expertise in the English law as a minimum requirement. The QLTS launched in England and Wales in September 2010, offering lawyers with the chance to become an English solicitor in a few months, thanks to a fast-track qualification route, without participating in a traditional training contract or internship. Becoming a dual-qualified English solicitor via the QLTS provides participants with more legal knowledge of English law, an outstanding professional profile and unique practising skills. The focus has shifted from a highly-localised legal profession and now, lawyers require an increasing amount of cross-jurisdictional knowledge and expertise. National borders aren’t a barrier to doing business and increased profits are possible with worldwide operations and a global focus. The QLTS is the key to becoming a dual-qualified English solicitor, unlocking international career and professional benefits. It comprises assessments to test candidates’ knowledge of English law and the skills required to practise as a solicitor. There are two sets of QLTS assessments. First, a multiple choice test (MCT) comprises 180 questions, divided into a morning and an afternoon session, each of two hours and 45 minutes’ duration. Secondly, the Objective Structured Clinical Examinations (OSCE) test candidates’ interviewing, online legal research, advocacy, legal writing and legal drafting skills. The multiple choice test must be passed before attempting the OSCE. The assessments are offered in the UK twice annually by an assessment provider appointed by the SRA. The MCT assessment is also offered in several international locations in Europe, Asia and North America. The premier provider of training and consulting services for the QLTS assessments, QLTS School, has a proven track record of thousands of candidates who passed the QLTS assessments on their first attempt. They are now eligible to become dual-qualified lawyers. Training is available to candidates around the world, allowing maximum flexibility, enabling even lawyers who are working full-time to participate. Request a free consultation with a QLTS advisor to learn more how you enhance your knowledge in English law and become an English solicitor. Azov – and now what? How did that company get my info? What’s so bad about a “starter marriage”? Are police abusing civil forfeiture laws? Does Putin Have 35 Million Secret Weapons? What future for the Jewish communities in Europe? 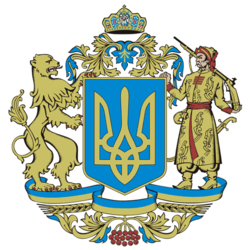 Ukrainian Law Blog | 2015-2018. E-mail: ukrainianlawblog@gmail.com. Awesome Inc. theme. Powered by Blogger.